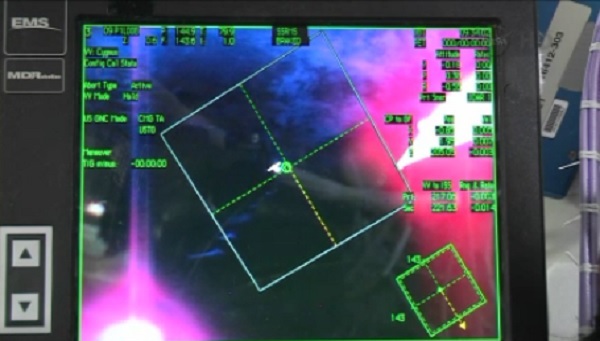 This morning, at around 1:30 a.m. EDT, Cygnus established direct data contact with the ISS and found that some of the data received had values that it did not expect, causing Cygnus to reject the data. This mandated an interruption of the approach sequence. Orbital has subsequently found the causes of this discrepancy and is developing a software fix. 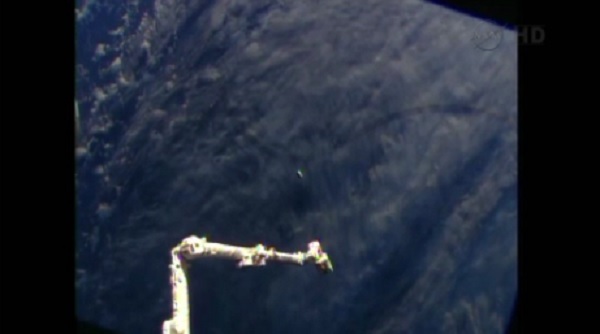 The minimum turnaround time to resume the approach to the ISS following an interruption such as this is approximately 48 hours due to the orbital mechanics of the approach trajectory. 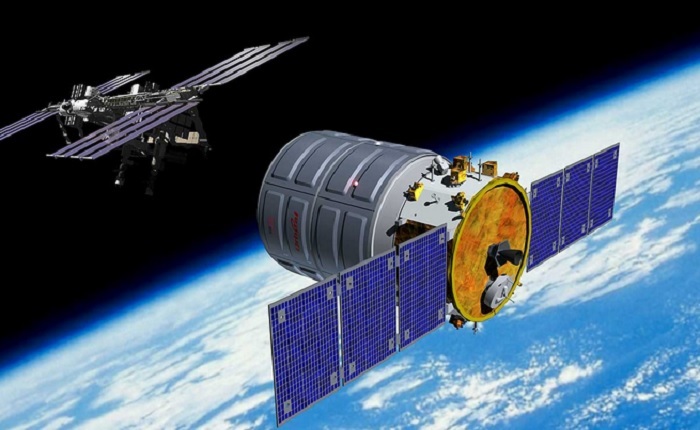 Orbital Sciences has confirmed that this morning, around 1:30 a.m. EDT, its Cygnus spacecraft established direct data contact with the International Space Station (ISS) and found that some of the data received had values that it did not expect, causing Cygnus to reject the data. This mandated an interruption of the approach sequence. Orbital has subsequently found the causes of this discrepancy and is developing a software fix. 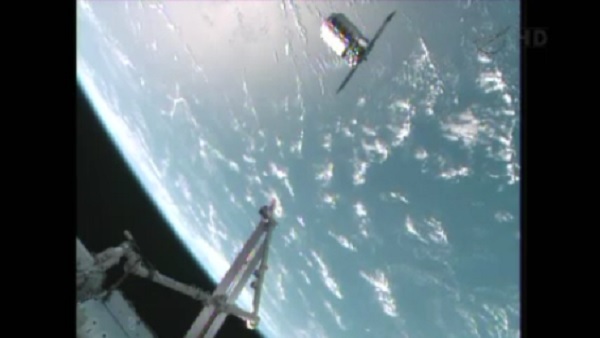 The minimum turnaround time to resume the approach to the ISS following an interruption such as this is approximately 48 hours due to orbital mechanics of the approach trajectory. 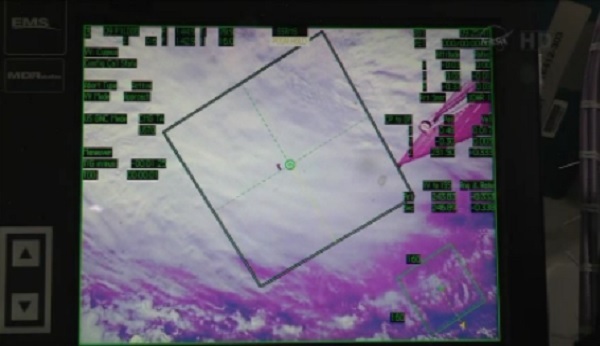 Following the discovery of a data format discrepancy between an on-board International Space Station (ISS) navigation system and a similar system on Cygnus at around 1:30 a.m. this morning, today's rendezvous with the station was postponed. At this time, NASA and Orbital are developing a detailed plan for a second rendezvous attempt early Tuesday morning. A software update has been developed and will be tested on a ground-based simulator during the day on Sunday. 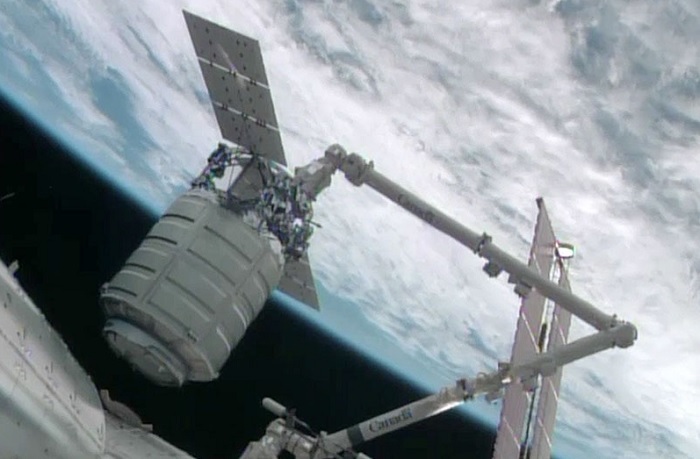 Upload to Cygnus and in-orbit testing of the software "patch" is planned for Sunday night and into Monday morning. Once this has been accomplished and verified, the current plan is for Cygnus to begin a second rendezvous approach late Monday night, with final approach to the ISS and grapple taking place early Tuesday morning. 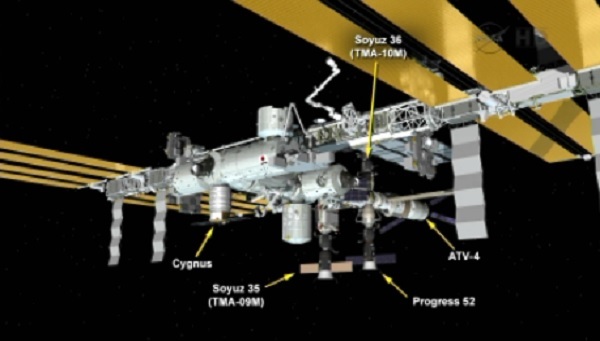 The Cygnus spacecraft remains healthy, with all major subsystems operating as expected. Over the past 24 hours, the Orbital team developed and tested a software fix for the data format mismatch that necessitated a postponement of the first rendezvous operation that was scheduled for the early morning of September 22. However, that process, together with the impending Soyuz crew operations, resulted in a tight schedule to the point that both Orbital and NASA felt it was the right decision to postpone the Cygnus approach and rendezvous until after Soyuz operations. "This new schedule will allow the Orbital operations team to carefully plan and be well-rested before restarting the critical final approach to the space station. Meanwhile, Cygnus has all the resources needed to remain in orbit for an extended period of time," said Mr. Frank Culbertson, Orbital's Executive Vice President and General Manager of its Advanced Programs Group. HOUSTON, Texas - The first docking of a second commercial space company with the International Space Station is now expected to take place perhaps as soon as Sunday morning, according to Orbital Sciences Inc.
Orbital launched its Cygnus capsule Sept. 18 in an attempt to join SpaceX as the only other commercial company to successfully dock with the space station as part of a NASA program to turn the tasks of transporting supplies and crews to the ISS to private businesses. 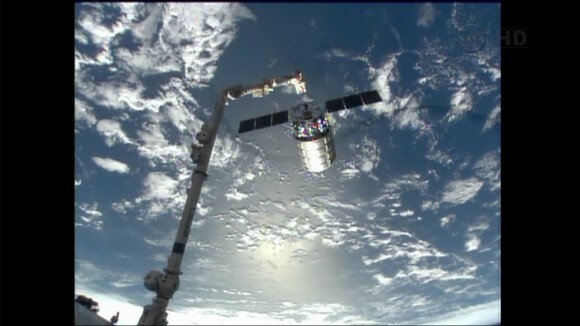 The docking was delayed Sunday when Cygnus and the space station had communication issues because of software problems. 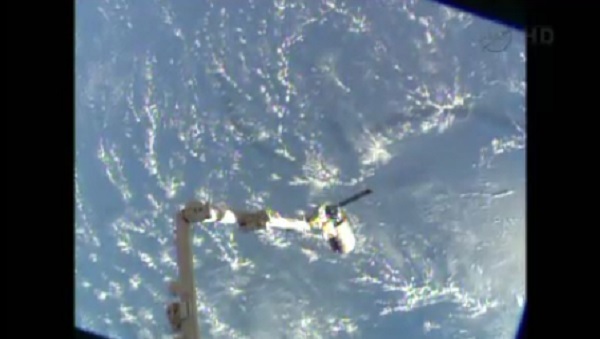 NASA also decided to wait until after a new crew arrived at the space station on Wednesday. 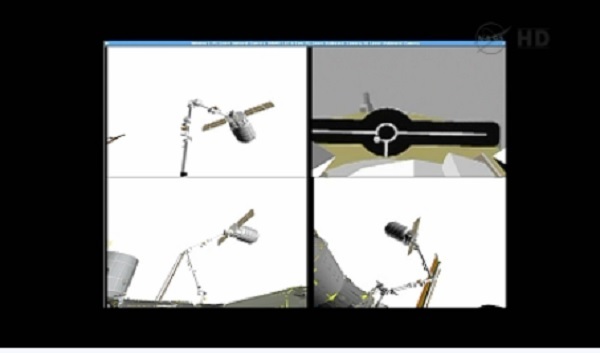 Orbital said today that the spacecraft is functioning well, the communication issues have been resolved and final discussions over the next attempt at rendezvous are taking place with NASA. NASA TV will broadcast the rendezvous operations, including approach, grapple and installation beginning at 4:30 a.m. (EDT) on Sunday morning. It will also be available on the NASA website. 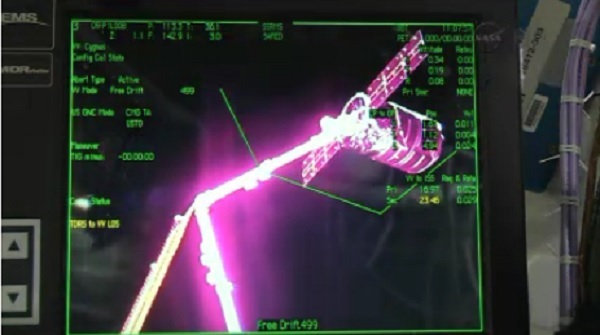 The Cygnus spacecraft remains healthy in-orbit, with all major onboard systems performing as expected. 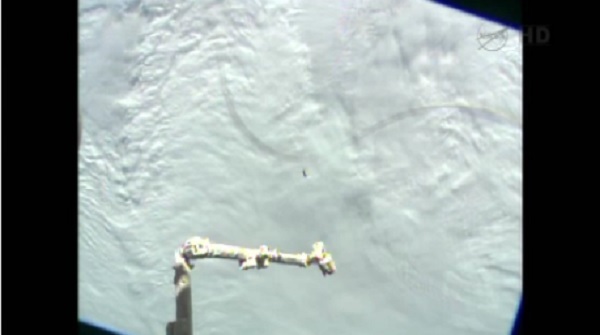 Over the past several days, the Cygnus engineering team developed, validated and uploaded the one-line software "patch" that resolved the GPS data roll-over discrepancy that was identified during the initial approach to the ISS last Saturday. Orbital and NASA are currently discussing the best rendezvous opportunity, with the current trajectory plan supporting Sunday morning, September 29 as the next opportunity to rendezvous with and approach the ISS. This schedule is still subject to final review and approval by the NASA and Orbital teams. 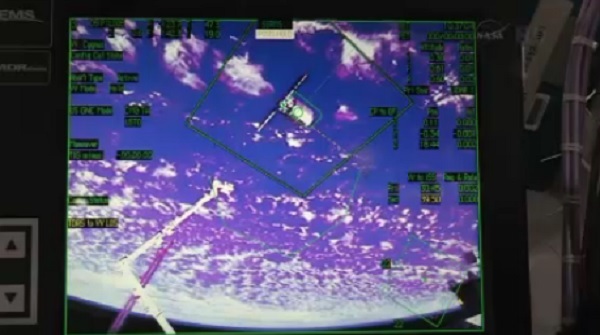 The Cygnus spacecraft is currently holding at about 2,400 km behind the ISS. Later this evening, Cygnus will perform the first of a series of thruster burns to begin the journey back towards the ISS to be in the right position for a rendezvous as early as Sunday morning. 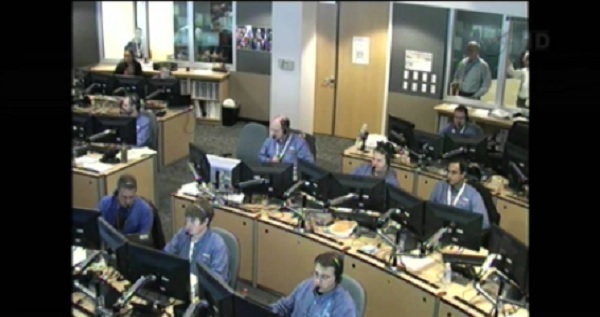 Since its launch from Wallops Island, VA on September 18 aboard our Antares rocket, the Cygnus mission operations team has been monitoring the spacecraft 24/7 with two operational teams - the blue team and the green team -- pulling alternate shifts. 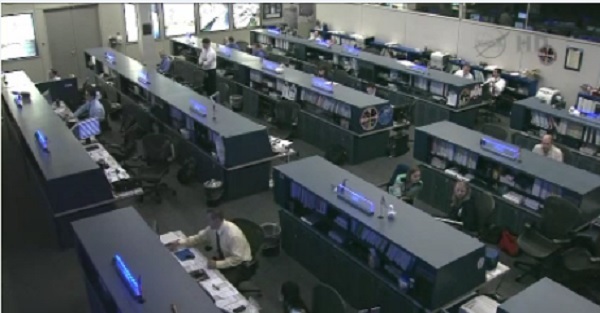 Program personnel are well-rested and fully prepared for Sunday's approach and rendezvous. NASA TV will broadcast the rendezvous operations, including approach, grapple and installation beginning at 4:30 a.m. (EDT) on Sunday morning. 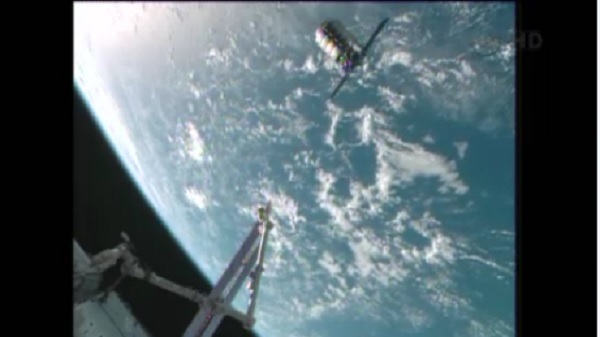 Orbital Sciences Corp.’s supply-laden Cygnus tug is now scheduled to make its first delivery to the international space station (ISS) early Sunday morning (Sept. 29), several hours before rival cargo-delivery contractor Space Exploration Technologies Corp. (SpaceX) conducts an important but unrelated demonstration mission of its own. Orbital Sciences spokesman Barry Beneski emailed reporters Thursday (Sept. 26) that the Cygnus engineering team had developed, validated and uploaded a one-line software patch to fix the “GPS data discrepancy rollover” that prompted last weekend’s abort. 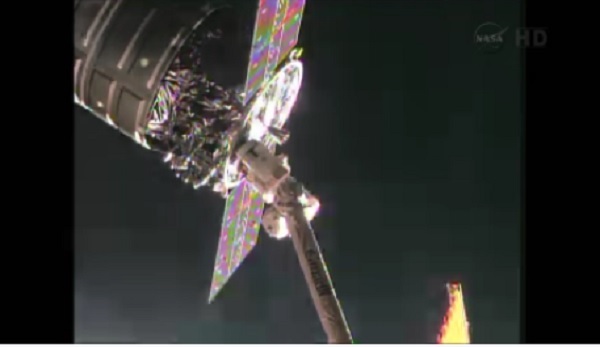 With all major systems performing as expected, Cygnus began a series of thruster burns late Thursday night to put it on track for a Sunday arrival. Assuming the plan holds, NASA TV will begin its coverage of the rendezvous operation at 4:30 a.m. EDT. 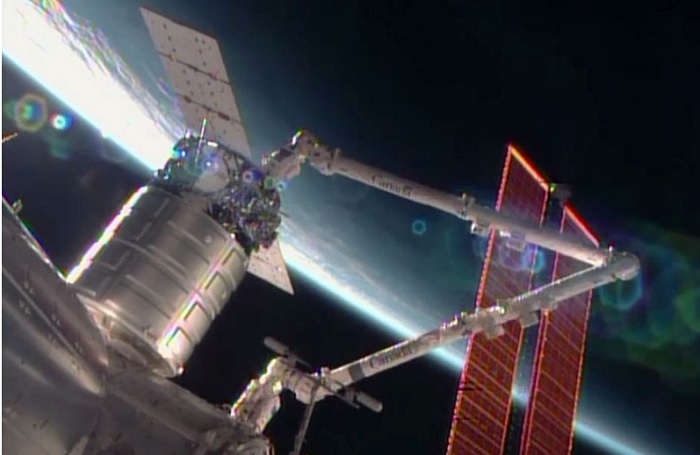 Beneski told SpaceNews Friday that Cygnus would be grappled by the station’s robotic arm shortly after 7 a.m. and painstakingly maneuvered into position with the docking port on the station’s Harmony module. 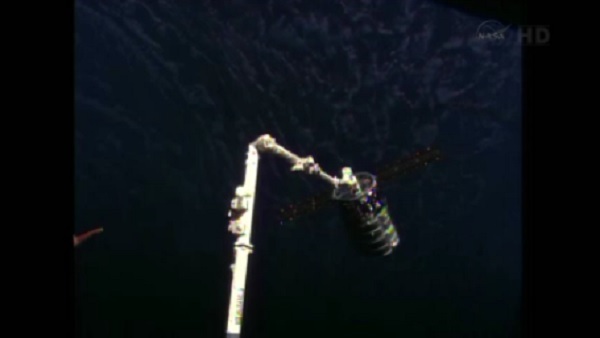 Once Cygnus is attached to the station, astronauts will unload a cache of noncritical cargo. 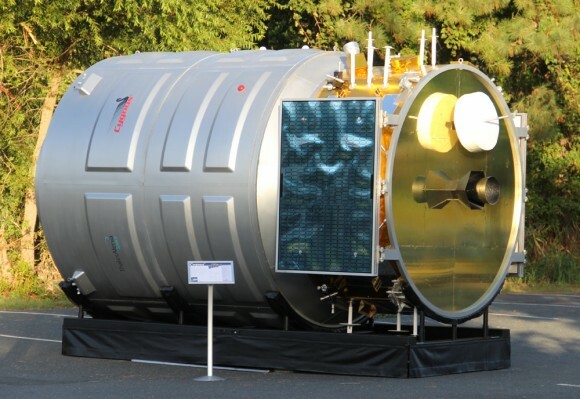 The barrel-shaped spacecraft is scheduled to remain attached to the station for about 30 days. 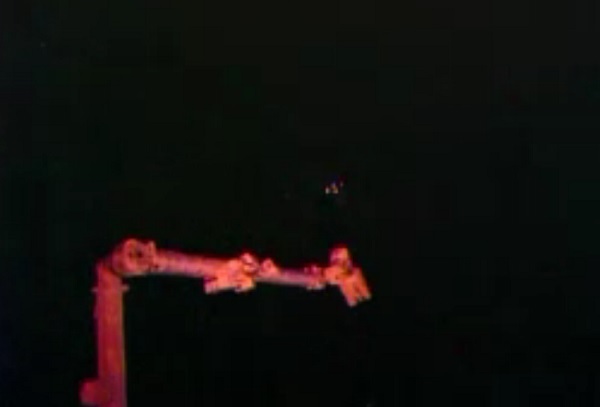 After that, the trash-laden tug will depart from the outpost, re-enter Earth’s atmosphere and burn up over the Pacific Ocean. A successful Cygnus mission will clear the way for Orbital Sciences to begin regular deliveries to ISS under an eight-flight, $1.9 billion contract it got from NASA in 2008. SpaceX, which got an 18-month head start on its NASA-funded demonstration effort, has made two deliveries under its 12-flight, $1.6 billion contract and is currently expected to make its third delivery flight in early 2014. In the meantime, SpaceX is focused on successfully demonstrating its upgraded Falcon 9 rocket and launching its first commercial communications satellites to geostationary transfer orbit. Falcon 9 v1.1’s maiden launch had been scheduled to lift off Sept. 15 from Vandenberg Air Force Base, Calif., carrying Canada’s experimental Cassiope space weather satellite, but problems observed during a pre-launch static fire test and range conflicts prompted SpaceX to postpone the launch two weeks. As of Friday, launch was slated to happen between noon and 2 p.m. EDT. Sunday. Cygnus was launched Sept. 18 by its Antares carrier rocket from the Mid-Atlantic Regional Spaceport, a state-operated facility at NASA’s Wallops Flight Facility in Virginia. Joint news conference will take place at NASA's Johnson Space Center in Houston and NASA Headquarters in Washington. Media may participate by telephone by contacting Johnson's newsroom at 218-483-5111 no later than 15 minutes prior to the start of the briefing. 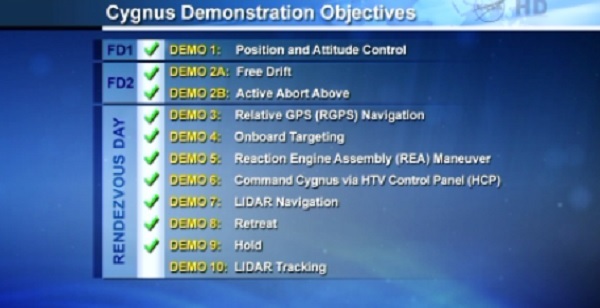 Orbital's Cygnus team has updated its thruster burn schedule for the spacecraft's controlled reentry into Earth's atmosphere. 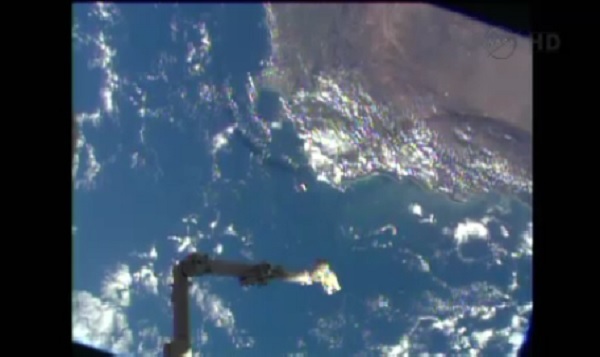 Following its unberthing and departure from the ISS on October 22 at approximately 6:00 a.m. and 7:30 a.m. respectively, Cygnus is now expected to reenter the atmosphere on October 23rd at approximately 2:18 p.m. (eastern) over the Pacific Ocean east of New Zealand. 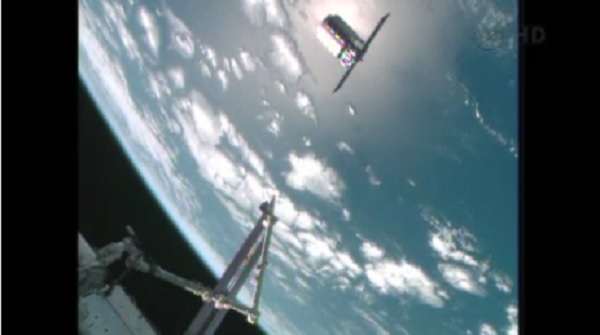 Attached to the Harmony node, the first Cygnus commercial cargo spacecraft built by Orbital Sciences Corp., in the grasp of the Canadarm2, is photographed by an Expedition 37 crew member on the International Space Station. The Expedition 37 crew aboard the International Space Station focused Thursday on preparations for the upcoming departure of two cargo ships. The robotic unberthing of Orbital Sciences’ Cygnus resupply ship on Tuesday will mark the start of several weeks of unusually busy vehicle traffic at the orbiting complex. Flight Engineers Luca Parmitano and Karen Nyberg spent much of their day in space conducting a round of on-board training to review the procedures for using the station’s robotic arm to detach Cygnus from the Earth-facing port of the Harmony node on Tuesday and release it for a destructive re-entry in the Earth’s atmosphere. 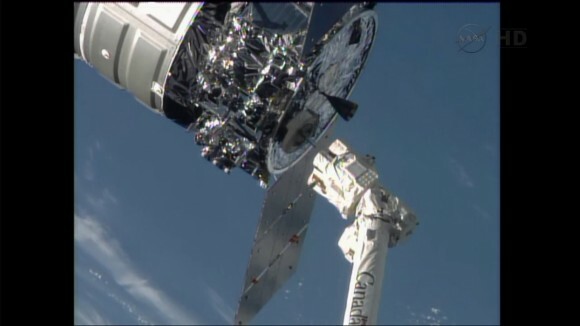 The two astronauts used the arm to capture Cygnus back on Sept. 29 when it delivered around 1,300 pounds of cargo during this inaugural demonstration flight. With Cygnus’ cargo of crew supplies and experiments having been fully unloaded, Nyberg and Flight Engineer Mike Hopkins spent some time Thursday refilling it with trash and other unneeded items for disposal. Meanwhile, Flight Engineer Oleg Kotov installed and connected a control panel to monitor the departure of the European Space Agency’s Automated Transfer Vehicle-4 (ATV-4), which is set to undock from the aft port of the Zvezda service module on Oct. 28 after more than four months at the station. 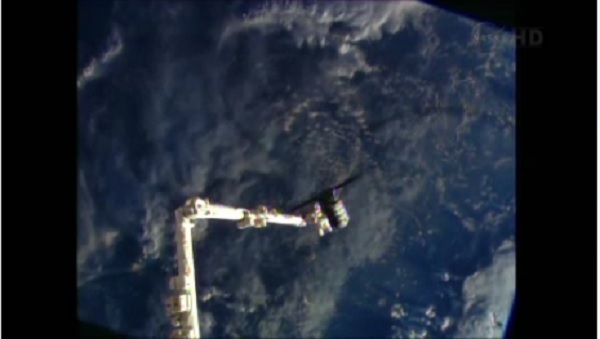 Like Cygnus, the ATV-4 will be de-orbited for a fiery demise over the Pacific Ocean. The departure of ATV-4 will clear the way for Nyberg, Parmitano and Commander Fyodor Yurchikhin to relocate their Soyuz 35 from its docking port on the Rassvet module to the newly vacated Zvezda port on Nov. 1. Less than a week later on Nov. 7, three new station crew members -- NASA astronaut Rick Mastracchio, Japan Aerospace Exploration Agency astronaut Koichi Wakata and Soyuz commander Mikhail Tyurin of the Russian Federal Space Agency – will launch aboard their Soyuz 37 spacecraft from the Baikonur Cosmodrome and dock to Rassvet about six hours later. For four days, nine astronauts and cosmonauts will live and work together aboard the station before Yurchikhin, Nyberg and Parmitano make their final farewells and board their Soyuz for the return to Earth after more than five months in space. 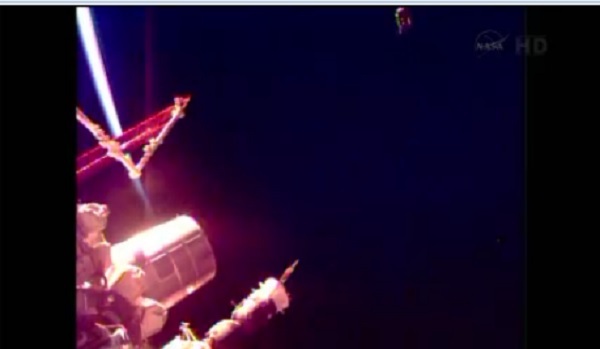 Their departure will mark the end of Expedition 37 and the beginning of Expedition 38 under the command of Kotov. The Expedition 37 crew members also tackled a number of scientific experiments Thursday, continuing their support of station research as they had throughout the recent U.S. government shutdown. 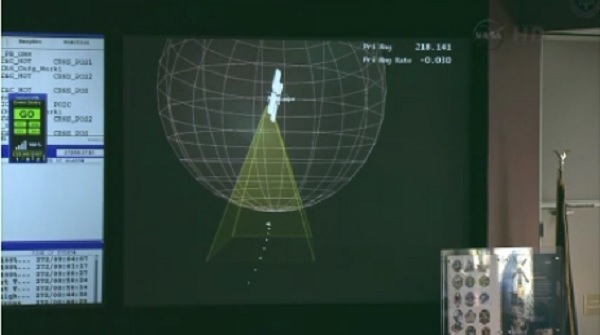 Hopkins performed an ultrasound on Nyberg for the Spinal Ultrasound investigation. Medical researchers have observed that astronauts grow up to three percent taller during their long duration missions aboard the station and return to their normal height when back on Earth. The Spinal Ultrasound investigation seeks to understand the mechanism and impact of this change while advancing medical imaging technology by testing a smaller and more portable ultrasound device aboard the station. 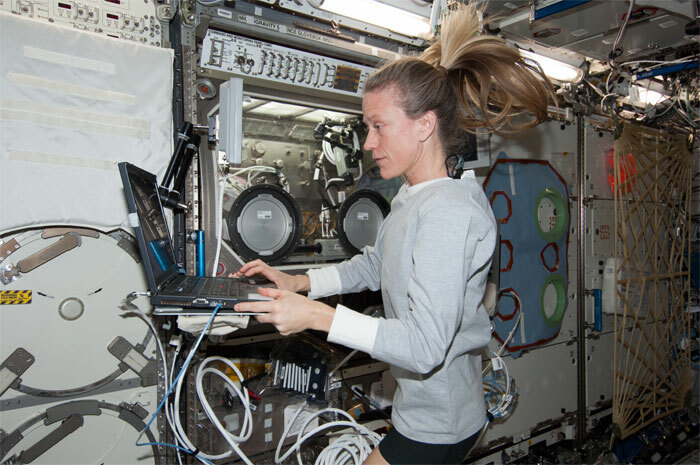 Flight Engineer Karen Nyberg enters data into a computer near the Microgravity Science Glovebox in the Destiny laboratory of the International Space Station. NASA Television will provide live coverage of the departure of the newest U.S. commercial cargo spacecraft to deliver supplies to the International Space Station and undocking of the fourth European Space Agency cargo vehicle. 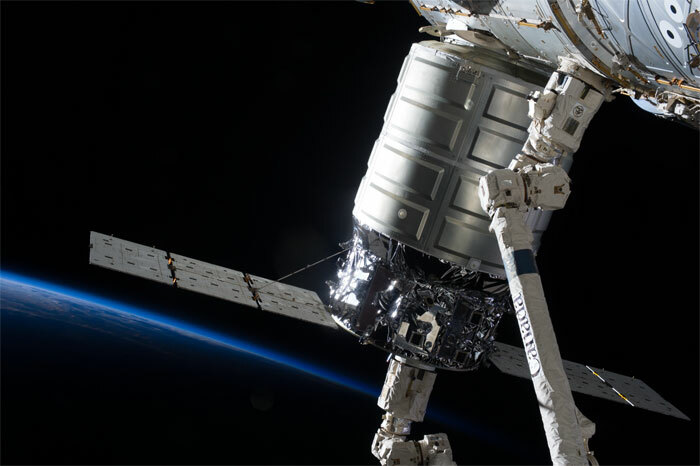 Coverage for departure of the Cygnus spacecraft begins at 7 a.m. EDT Tuesday, Oct. 22. The spacecraft has been attached to the space station since Sept. 29 on a demonstration cargo resupply mission by Orbital Sciences Corp. of Dulles, Va.
Coverage for departure of the fourth European Space Agency (ESA) Automated Transfer Vehicle (ATV-4) cargo spacecraft begins at 4:45 a.m. Monday, Oct. 28. Cygnus delivered about 1,300 pounds (589 kilograms) of cargo, including food, clothing and student experiments to the Expedition 37 crew aboard the space station. Future flights of Cygnus will significantly increase NASA's ability to deliver new science investigations to the only laboratory in microgravity. 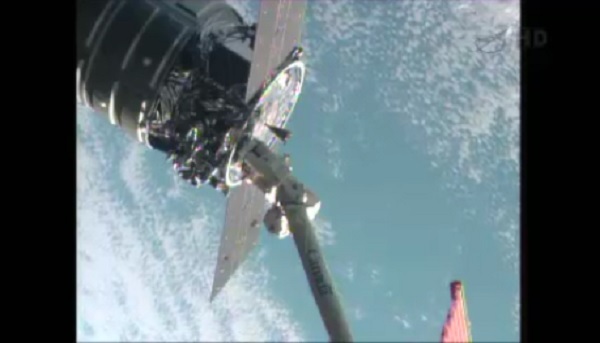 Astronauts will load Cygnus with items no longer needed and detach the spacecraft from the station's Harmony module using the orbiting complex's robotic arm. The crew will release Cygnus at 7:30 a.m. Orbital engineers then will conduct a series of planned burns and maneuvers to move Cygnus toward a destructive re-entry in Earth's atmosphere Wednesday, Oct. 23. Cygnus was launched on the company's Antares rocket on Sept. 18 from the Mid-Atlantic Regional Spaceport Pad-0A at NASA’s Wallops Flight Facility in Virginia. Orbital is the second of NASA’s two partners taking part in the agency's Commercial Orbital Transportation Services (COTS) program. The goal of COTS is to develop safe, reliable and cost effective cargo transportation systems. 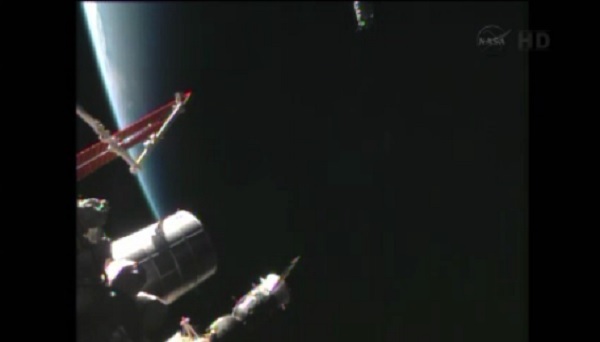 Following a successful demonstration mission, the company is poised to begin regular resupply missions. The ATV-4 spacecraft, named Albert Einstein by ESA in honor of the 20th century theoretical physicist and icon of modern science, launched atop an Ariane 5 rocket from Kourou, French Guiana June 5. The spacecraft docked to the aft port of the Russian Zvezda Service Module June 15, delivering more than 7 tons of supplies. 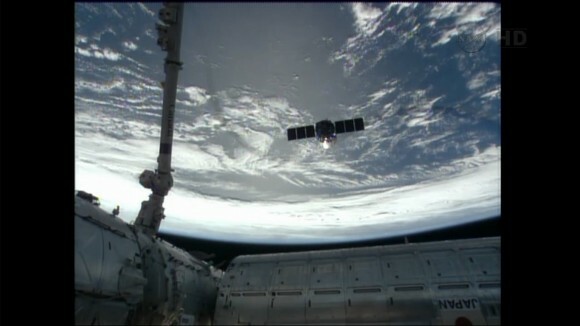 ATV-4 also will be loaded with items no longer needed aboard the space station. The spacecraft will back away from the station to a safe distance for an engine firing that will enable it to make a planned destructive return through Earth's atmosphere Sunday, Nov. 2. Preparations also are under way for launch of a new expedition crew to the space station. Launch is scheduled for 11:14 p.m. EDT Wednesday, Nov. 6, from the Baikonur Cosmodrome in Kazakhstan. New video of launch preparations will begin airing on NASA Television Oct. 22. After launching to orbit atop the Antares rocket on Sept. 18, the first ever Cygnus cargo spacecraft chased the ISS and docked on Sept 29. Here is full scale, high fidelity mockup of Cygnus to give a feel for its size being similar to a small room.